When someone is injured on another person’s property because of negligence or lack of general safety, they have a right to expect compensation from the property owner for pain and suffering. Bell & Bell is a law firm in Pompano Beach that can help if you need a premises liability attorney. For a free case evaluation, Call Us At 954-783-2215 Or 888-852-8867 Today! If you need a car accident attorney, we can help with that, as well. We cover many areas involving personal injury, so contact us today. Imagine a scenario where someone is delivering a package to a home. A large oil spill has been left in the driveway, and the person slips on it and falls, injuring themselves. In this instance, it might be determined that the homeowner was responsible, because they were aware of the hazard of the oil and did nothing to fix it. That’s the basic idea behind premises liability. Another example might be if someone is hurt at an amusement park while riding one of the rides. If an individual follows safety instructions, then they have a reasonable expectation that they will be safe on the ride, legally speaking. Issues that might be taken into consideration in such a case include the condition of the property, the behavior of the property owner, and the status and behavior of the injured visitor. In many cases, the person who occupies the property, such as a renter or tenant, will be treated the same way as the property owner in determining liability. It is reasonable to assume that people will take basic steps to make sure that a property is safe. This means cleaning up spills in a timely manner, keeping walkways clear, preventing tripping hazards, following basic safety guidelines, and doing regular maintenance and cleaning. Unfortunately, a simple trip-and-fall accident can cause tremendous damage and years of suffering. In instances like this, the injured person might not be able to cover medical expenses or might have lost wages from missing work. It is understandable that the injured person will expect compensation from those who created the hazardous situation that led to their injury. 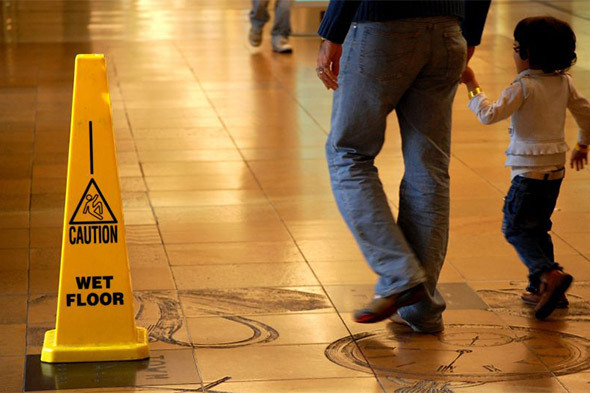 This is the purpose of premises liability law, and a premises liability attorney can help. Bell & Bell in Pompano Beach specializes in many areas of personal injury law. If you need a car accident attorney, we can help with that, as well. For a free case evaluation, Call Us At 954-783-2215 Or 888-852-8867 Today!